These warmed salt discs will permeate through the dermal barriers to reach your cells, where the supporting muscles are nourished. This decreases unhealthy acidity by pulling out the toxins of the body as well as putting minerals into the body. The exfoliation decelerates callus build-ups by binding the salt through the moisture on your feet. This detox: reduces symptoms of arthritis, edema (swelling, soreness and stiffness) and neuropathy; increases overall blood circulation and stimulates the nerve endings; decreases carpal tunnel pain and discomfort; reduces muscle inflammation; promotes relaxation of the body and mind. Reiki practitioners use gentle, painless touch therapy (clothes on) to boost energy and create a greater sense of well-being and health. A Reiki treatment helps to balance areas of deficiency, nourish your soul, and can bring on deep relaxation, enhanced healing, pain relief and emotional release. Acupuncture is a form of alternative medicine and a key component of traditional Chinese medicine (TCM) involving thin needles inserted into the body at acupuncture points. It can be associated with the application of heat or pressure to these same points. 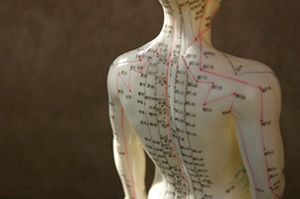 Acupuncture is commonly used for pain relief, though it is also used for a wide range of other conditions. Call 585-749-2013 to schedule your appointment.